We just came back from a trip to Sensormatic Systems Head-Quarters in Boca Raton, Florida. What a fascinating, interesting and eye-opening experience. As anti-shoplifting systems are concerned, we clearly left with the knowledge that Sensormatic is the top of the line for value and quality. I have been in the field of Loss Prevention for over 35 years (I hate saying that, it makes me feel …. old). 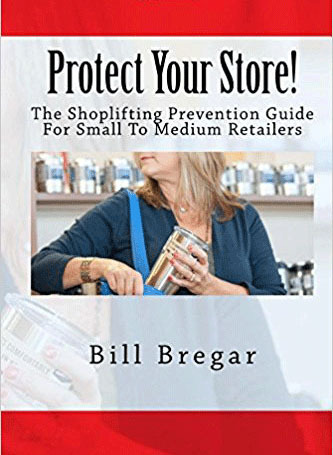 I rose to the top in a number of fine retail companies as the Director of Loss Prevention. I have had my own company now for many years. So, I have bought these systems as a Director and I now have the privilege of being a premier nationwide Sensormatic Dealer. For many years we sold another top brand. But it is very clear to me why Sensormatic is the world-wide leader. Let me throw out a few conclusions for you. Sensormatic invests a huge amount of money into testing. Not just making sure that systems ring the bell and flash the light. Testing is extensive. Research laboratories are used by Sensormatic Engineers to take something from an idea to a finished product. It starts with a team in design. They look at style and how it will impact the Retailer and their customers. Ergonomics are tested thoroughly. It is important that a retail employee can use a hand-held device for long periods of time with minimal fatigue. Drop tests are performed with high speed cameras to determine if devices will properly survive a fall with minimal damage and a low risk to the people around it. Stress tests are conducted on antenna systems to see how they will react to being bent until broken. Do the systems splinter? Does the electronics spark? Sensormatic is a massive company that operates on every continent, okay, well maybe not Antarctica. Sensormatic Systems is part of Johnson Controls. And if you have not been hiding under a rock all your life know that Johnson Controls is one of the largest companies in the world with a serious reputation for quality and service in many fields. The Sensormatic division has that behind it. That is in addition to the testing of the antenna systems for detection of tags and labels. Sensormatic systems are tested and certified safe by the main testing agencies in the various countries all over the world. For example, in the United States Sensormatic systems are UL Certified among others. Sensormatic security systems are not going to be the cheapest. But it is like anything else you get what you pay for. However, the value runs deeper than just the highest quality commercial grade equipment that is made to last a very long time. These Acousto Magnetic (AM) systems perform much better than the competition for the price and much better than Radio Frequency (RF) systems. RF systems are very prone to false or phantom (no one nearby the system) alarms. Acousto Magnetic does not have that problem. This technology operates on a different frequency that is less prone to issues. Because of that we can easily get an 8 foot isle width. The very best RF can do is 6 feet. Acousto Magnetic technology has been around for over fifty years. It is proven and stable. Sensormatic brand hard tags and labels are very robust. The hard tags have clean, well “welded” seams that will not snag clothing. The genuine Sensormatic labels outperform any knock offs in both range and deactivation. Sensormatic security system deactivation performs at a very high level. When your cash/wrap associate kills the labels, it stays dead. So, the real question now is this: Are you going to go through all of the coming up year and again lose money, watching it walk out the door with shoplifters? Or are you going to fix the problem once and for all? 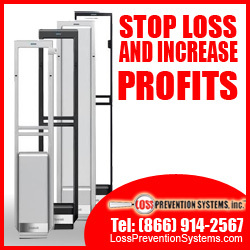 Loss Prevention Systems’ proven process will significantly reduce your losses? All you have left to do now is contact us.